Class room Base Ten manipulative to engage students in concrete demonstrations of place value and base ten concepts in Group activity. Set supplies for class of 20–25 students with 400 individual units, 80 rods, 40 flats, 4 Thousand cubes. 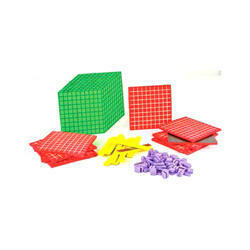 Teaching math with base ten manipulative allows kids to do hands-on exercises and makes learning basic math skills easy. These proportional foam magnetic pieces are the perfect visual aid for teaching base ten basics. 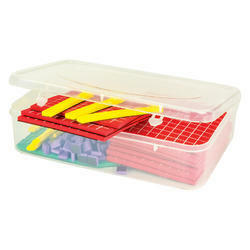 This base ten math manipulative set includes 100 single units, ten 10-unit rods, ten 100-unit squares and one 2-dimensional graphic of a 1000-unit cube. Perfect for helping young students learn counting, grouping, place value, numeration, and multiplication. 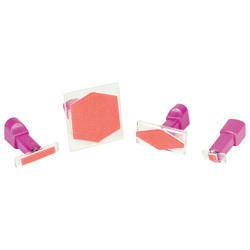 The magnetized foam pieces are easy to grip and place on magnetic whiteboards. This classroom demonstration tool is also useful for hands-on learning in small or large groups. Rubber stamp is replicas of Base 10 blocks. Includes one unit, one rod, one flat, and one cube stamp. Each stamp is mounted on a wooden handle. Teacher can make different worksheet by take stamp impression on blank paper to give student. We are the manufacturer of Magnetic Base Ten Blocks. Model essential base ten and place value concepts on your magnetic whiteboard so the whole class can see. 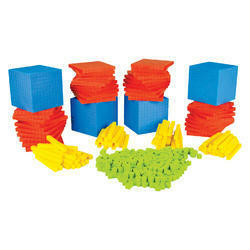 These proportional foam magnetic pieces are perfect visual aid for teaching base ten basics. One of the best resource to learn major concepts of number sense, namely place value and number operations. This classroom demonstration tool is also useful for hands on learning in small or large group. Hundreds Flats : 10 Pcs., Thousand Cube : 1 Pc.